Margaret Nagib, Psy.D., is a clinical psychologist specializing in Christian counseling, inner healing, and treating eating disorders, trauma, addiction, self-injury, and mood disorders. For more than 15 years, she has provided individual, family, and group therapy. As the former Spirituality Clinical Director at Timberline Knolls, she created and launched the Christian Treatment path and oversaw the general spirituality program with the goal to restore each resident to wholeness through a deeper relationship with God, helping each one to find her voice, purpose, and passion. Today, as a key faculty member of Timberline Knolls’ Clinical Development Institute, she travels throughout the country providing clinical training and presentations to professionals. Every year, the CDI team offers more than 80 presentations at national and regional meetings, and contributes to awareness and early intervention through media interviews and blog contributions. 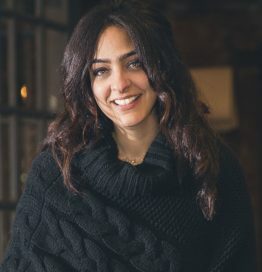 Formerly, Dr. Nagib worked as a psychologist with the Meier Clinics, the Northern Illinois University Counseling Center, the Glen Oaks Adolescent Therapeutic School, and Oak Forest Psychological Services. As an expert in providing treatment from a Christian perspective, she has been featured in RELEVANT magazine, The Wall Street Journal, Today’s Christian Woman magazine, FOX News, “The Everlasting Love” (a Christian public affairs television program broadcast throughout Chicago), and “Doctor to Doctor” on Trinity Broadcasting Network. She has known Christ as her personal Savior and Lord since the age of four and has been blessed to walk with Him ever since. Her personal calling is to bring healing and hope to others by the power of the Holy Spirit and has had the privilege of doing this in both Christian (Meier Clinics of Wheaton) and secular professional settings (Timberline Knolls in Chicago).